mostly green grass beneath crazy coloured spiked shoes. Twain’s infamous walk interrupted, many times in fact, alongside progeny and comrades, welcoming me newly into the club, ubiquitous in its slack membership. eyes squinting into the light for the thousand time, habits long since learned, still remembered. An unusual midweek gathering of friends, embracing, mourning, celebrating a rich table, and those around it inclined. Familiar and novel, a ribbon dangling in the middle, two sides pulling hard, with no apparent victor. Evidence of change, in the air, carried along on well worn shoes. although not for me, but for her Majesty, I am just along for the ride. more precious in my mind. I have been in the company, on and off again, with an unwelcome friend for over twenty-five years. Truth be told, while I know this friend quite well at least from the outside, I have had very little idea of what this “friend” is truly like. It is only recently that I am starting to truly get to know this “friend” intimately, and not simply through association. Who is this crappy friend, you are thinking? Don’t worry it is most certainly none of you. This unwelcome friend that I have had an acquaintance with is depression. For over a quarter century I have watched my warrior wife battle the company of this unwelcome friend, and any who know her would attest to her ability to wrestle and mostly triumph, despite it all. I have watched from the sidelines, at times cheering, but silent for a lot of those years, an onlooker, baffled and bewildered at how this “friend” could be so persistent, so unrelenting in its quest to control. Until recently, I was merely a bystander, someone familiar with the unwelcome effects, the morose fog and invisible weight, but never intimate, never truly comprehending. That friendship was never really mine, it was alway vicarious. That unwelcome friendship has become something intimate these past few months. Thankfully not persistent, not debilitating, but far more real and unwanted than I ever imagined. I euphemistically have taken to calling these occurrences “one of those days” but they are more than that if I am going to be honest. I am still getting to know this unwelcome friend, but what I dislike the most about him is the energy that he demands from me. Take yesterday for example. The day started like most, my routine in tact, breakfast, emails, typical Monday tasks. As the day progressed though, I found myself struggling more and more with this invisible weight, bearing down on me, trying to pin me to the ground. Just the thought of going out for a walk later in the afternoon seemed daunting. I ended up outside, thankfully, feeling somewhat relieved afterwards, but the effort to achieve that goal seemed disproportionate. I have no idea why this “friend” has decided to inflict himself upon me, now, after so many years of simply staring blankly at him. Regardless, I have a new perspective of the heroic efforts of my warrior wife all these past years (hopefully migraines aren’t next for me, sporting a headache as I write this post). What I am not willing to do is let this friendship evolve in secret, in the dark corners of my world. I have no illusions that this friendship that I have recently discovered will be embraced, or understood, but I will let HIM be seen. I am not sure how long HE plans to hang around, how hard I will have to struggle against his whims, but I figure that writing about him, and pulling him out into the light might hopefully have some effect. It is now an unwelcome friendship for us both. One that I hope will end sooner rather than later. But until then, I am going to keep up with my walking, I think with a real backpack, perhaps even filled with some actual weights. 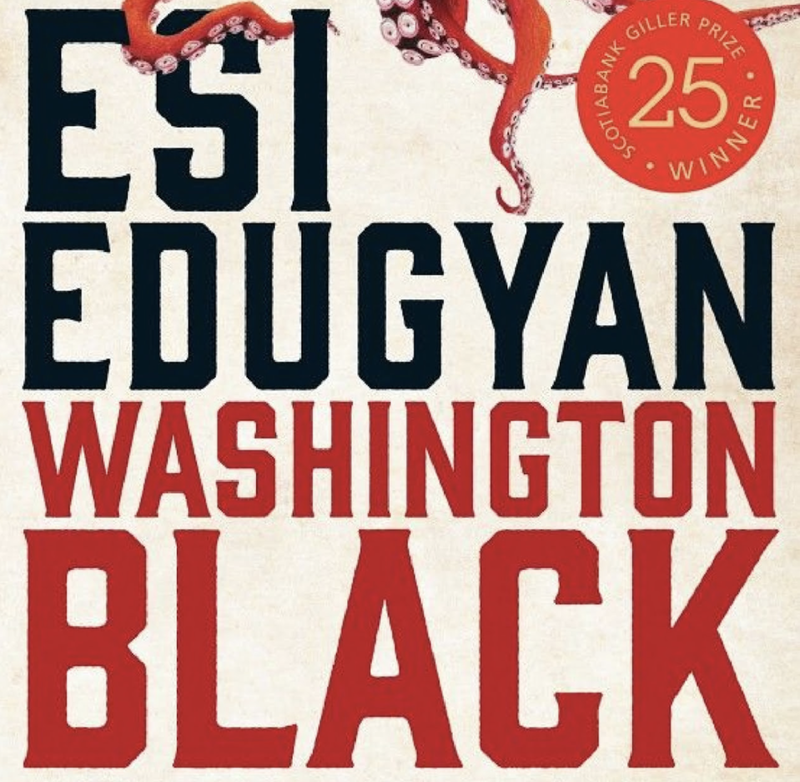 I just finished reading Esi Edugyan’s amazing novel Washington Black. This book rocked my world. I spent over nineteen hours walking the ravine with my dog Charlie, getting to know a young boy, a slave, born in the Barbados. It is early in the 1800’s and for three weeks, I journeyed alongside this courageous boy, as he traveled and became a young man. I can’t recommend this novel with enough of the credit it deserves. I finished this book yesterday, and the ending shocked me, emotionally wounded me (in a good way). It even prompted me to write a poem about the journey, although it isn’t finished (and truthfully might never be)…..
Now I am looking for something else to listen to as I walk my dog Charlie, and that is where you come in, hopefully. What book changed your world? I am not talking Nancy Drew or the Hardy Boys here, but more Shogun, or Roots! If you would let me know what I should read next, I would be most appreciative. One of the main motivators which precipitated this journey into the mess of my life was my son Andrew, who I have given over to referring to as The Boy. There are only a handful of people in my life (he, my wife, a few others) who have my heart fully (flawed as it is). In the process of reading Brené Brown’s books, I began to realize that I needed to figure out how to be fully human so that in part, I could model something better to my son, than I have done in the first fifteen years of his life. For most that know me, even a little, I think it safe to assume that my affection for my son is self-evident. With that said, my tendency has been to express that deep affection via indulgence both in goods and time. Being the father of a single child enables this kind of attention, in ways that those with multiple children, probably can’t afford, on either of those fronts. When Andrew was eight years old, he expressed how distressing he found my many trips away buying coffee. The solution seemed simple to me, although not ideal; find someone else to buy green coffee for Transcend. While I have never loved the “getting somewhere” I have always loved the “being somewhere” and truthfully, although rarely spoken, that decision was a significant sacrifice for me. I was giving something up, that was not just critical to my business, but something that I found profound meaning in and had shaped me in ways, too many to count. It is however, a sacrifice that I count as a blessing, and would do it all over again. I know that I spoil my kid. I know that many of his friends are likely jealous of him, and what he has, what he gets to do, just like I was jealous when I was young, and watched with envy from the sidelines as my friends rode new motorbikes, drove new cars, had better clothes. I know that my indulgent approach to affection emanates from my own experience. I am a gift-giver, it is my “love language” but truthfully it is just easy! I enjoy shopping, I enjoy finding something that I think others would appreciate and buying it for them. But I also know that this form of affection is in part, a copout. It is easy to give a gift, it is far harder to share deeply held emotions. It is even relatively easy to spend time with my son, when he and I share common interests (surprise surprise, I nurtured a love of golf and snow in him, and steered him away from hockey!). It isn’t much of a sacrifice to head to the mountains, and spend a couple of days on the slopes, even if all that I am now is a glorified camera man. So in large part, this journey I am on, is about him, my warrior wife, and our family. I want to live differently during these last decades of my life, and I want to give him the gift of learning how to live fully, embracing the messy middle, embracing his emotions, embracing all that life has to offer up, so that he can reap the benefits of a life well lived before he turns fifty! I am in the midst of writing a poem for him for Christmas. Yes he will get gifts too, but whether he appreciates it now, or not, I want to give him something from my core. That poem is proving difficult to write, and I am struggling to convey his story, which I find interesting. Unlike this poem, which I wrote while laying in bed last night, unable to sleep. Tears of joy, tears of trepidation, announced with rasping cries, cracking like thunder, disruptive, rapturous first breaths. A tsunami of possibility, decades flash across my vision, blinking then gone. Crushing love spills from the jigger, a dash of hope, a twist of fear, shaken and poured, a cocktail of what might be. I drink, parched cracked lips never satisfied. Dependant and now powerless to resist, forever blinded by your beauty. Stammering now, years fleeing, hounds at bay, your innocence evaporates in the heat of my gaze. Too soon you are my rival. Too soon will my conversation fail to hold your ear. Knees now creek with joy, your vigour relentless, all that I hoped. Now exhausted I lag behind, soon satisfied to only watch from a distance. A chair at the end of the lane now bears my weight, heavy eyelids straining to see a shadow on the horizon, beckoning your presence, craving a momentary embrace. Until then, memories will suffice! 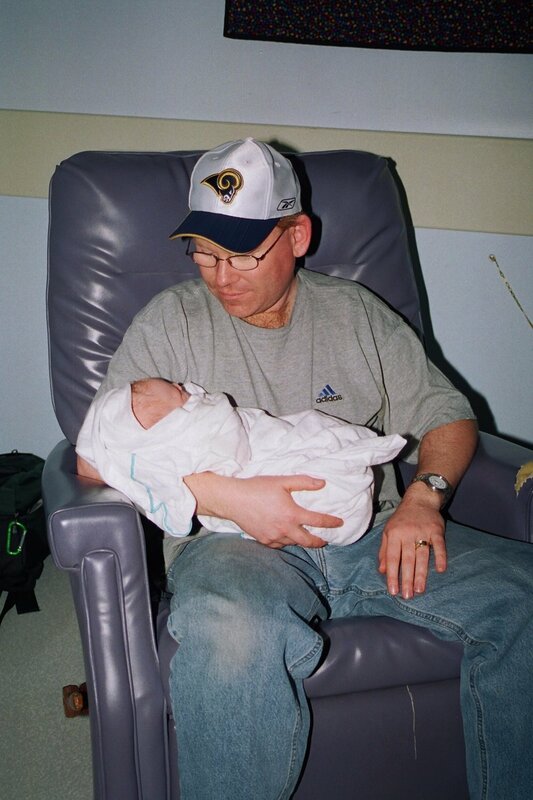 This poem is about me, about fatherhood, and I think that is why it was easier to pen. Hopefully it is also a bit representative of most fathers hopes and fears concerning their children. And my hope in this journey is that as I examine my own emotions, and begin to find ways (seemingly poetry) to express these feelings, I will be able to give The Boy a gift that will never fade, never wear out, and one that he will be able to give to his children, should he choose to be a father. For now, I know that I am blessed, in the middle of this mess. I have The Boy, almost fifteen, who still enjoys my presence, who still wants to do things with me, beat me in pingpong, drive a ball further down the fairway. Looking back on where I was at his age, I know how lucky that I am. And I am beginning to hold out hope, that if nothing else, this journey might offer up the joy of having a continuous relationship with my son, throughout all of his years.